It was just a week ago that WOW Air was offering impressively cheap flights to Iceland. On Tuesday, they lowered the prices even further. 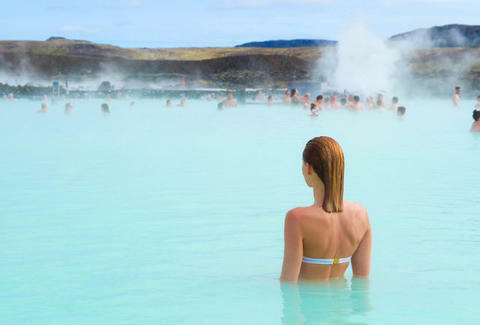 Right now, WOW Air has flights to Iceland starting at $69.99. However, those tickets may look a little more expensive than they are. If you sign up for the airline's My WOW program, which is free, prices on loads of tickets will drop from between $99-$159 to $69.99 for select flights. 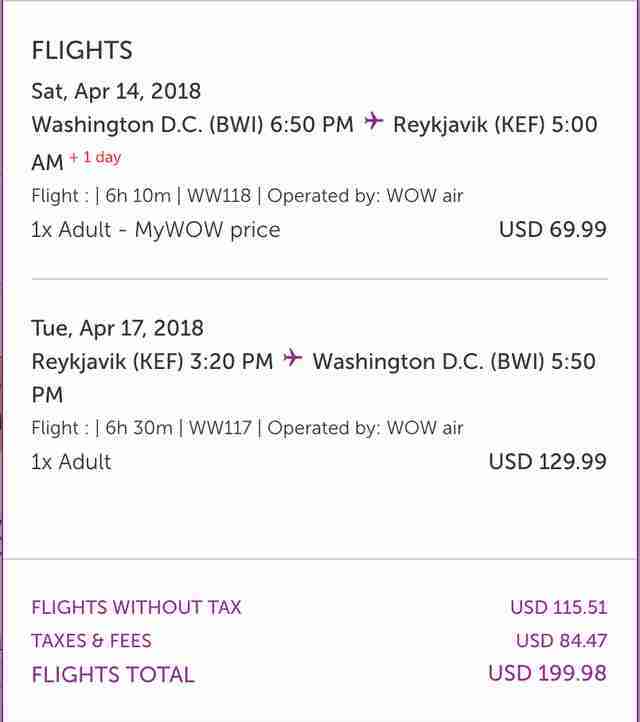 That means you can get round-trip tickets to Reykjavik for $199.98, as you see in the below example from Washington D.C. in April. You can find the $69.99 one-way tickets flying out of DC, Pittsburgh, San Francisco, Boston, and Chicago. Flights from Los Angeles are just $89.99. Other deals include flights from New York, Cleveland, and Cincinnati for $99.99, Miami for $129, St. Louis for $149, and Dallas and Detroit for $179. Other destinations include London, Dublin, Stockholm, Frankfurt, Edinburgh, Brussels, Copenhagen, and Amsterdam from $89.99. Before making your final click, be sure to look into all the fees and add-ons you'll encounter when booking through the budget airline. WOW allows for a free personal item, but it'll cost $39.99 for a carry-on and $49.99 for checked luggage. There's also a minimum of a $6.99 charge if you want to select your own seat. You can, however, have your seat assigned to you at the airport for free. As with any deal from a budget airline, it's helpful if you're a packing champion and a little flexible about where you sit. Then you're on your way to the Blue Lagoon, Ring Road, hákarl, and the Northern Lights (if you head there before the spring).